Heckmeck Extrawurm is an expansion for Heckmeck am Bratwurmeck (Pickomino) that adds four animal meeples, an additional die, two new barbecue worm portions, and seven victory point pieces (called brat worms) to the basic game. 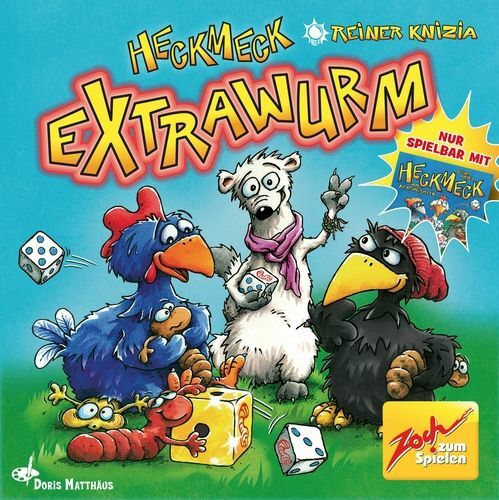 The players get the meeples on top of the barbecue worm portions that they take. Each meeple grants an individual bonus power to the player who owns it.